Spring bass fishing can be the best time of the year to catch a trophy. Many factors influence the ups and downs of bass fishing in the spring, including rising lake levels. By keying on a bass’ movements during this condition, you will increase your success rates and straighten out those chart lines on a higher plateau. Stages of rising water present different options to you. When the lake level is at normal pool and starts to rise, you have fewer options, so try flipping a jig to any available cover, usually the first ambush points for bass fishing in the springs flooded areas. If the lake is already high and rising, then you have a lot more targets. However, if it’s already high and the water is in bushes, then you have to figure out how to get through the first line of cover to reach the fish. This can create some problems because bass can be difficult to reach back in the flooded trash. Bass will also start scattering more if the water is warm. 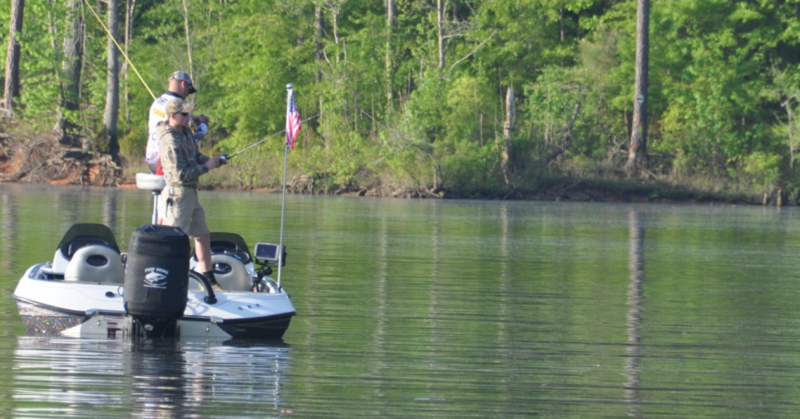 In early spring, bass scatter less in the shallows because the cooler water prevents them from moving far. Sometimes you can find bass along migration routes such as ditches, points or any creases in the terrain rather than in the shallow flooded cover. 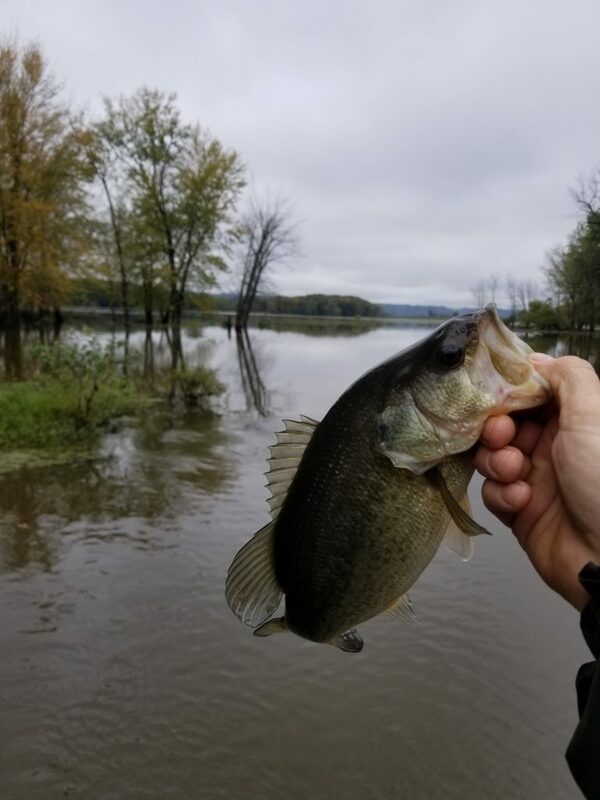 A prime example is when a lake is rising, but the water temperature is moderate and bass haven’t move up to the bank yet. When this occurs you should key on the bottom structure because the fish will move along the underwater avenues from one line of cover to the next. When the water starts to rise on some reservoirs in the spring, you can head for the backs of creeks and search for 45-degree banks. 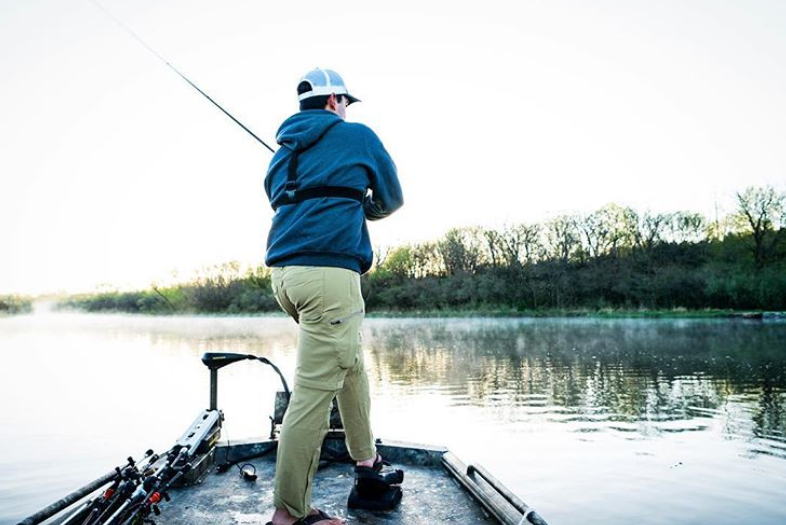 As the lake level rises, bass will still relate to the old bank line even when water becomes so high it inundates miles of land in the back of the creeks. Bass might move off into a flooded grass field or a ditch, but these spots will still be near the creek channel. While some bass in the spring will move extremely shallow into the flooded fields, the majority of the fish will still concentrate around the original bank. The fish relating to the creek channel will congregate around any cover such as flooded timber or log laydowns along the steeper inclines of the old bank line.